Sponsors - Information - Faversham Town F.C. Dating from the early 19th century ‘The Old Neptune’ Whitstable, or ‘The Neppy’ as it’s affectionately known is one of only a handful of pubs to be found on the beaches of Britain. And when we say on the beach we really mean it. Not next to the beach or by the beach but right on it, the only thing between you and the sea is…you’ve guessed it the beach. Located in the heart of Whitstable’s charming and popular fishing town The Old Neptune offers a wonderful choice of local ales, continental lagers, an extensive wine list and great home cooked food for you to savour whilst watching the world famous Whitstable sunsets. 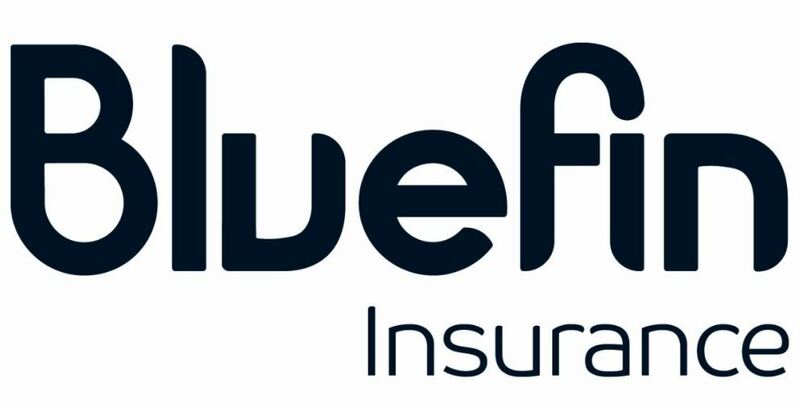 Bluefin is one of the UK’s leading insurance brokers. We have over 1400 staff in over 40 offices across the UK and provide thousands of clients with guidance on creating the insurance solutions that best protects their assets, revenues, people and lifestyle. Our network of offices mean we have a strong local presence which enables our advisers to provide outstanding levels of service as well as access to a huge range of market leading products. We have a breadth and depth of resource across a wide range of insurance disciplines. We place over £500million of insurance premium and so have huge buying power in the market. PARRYPAGE-PROJECTS provides a highly personalized construction and manufacturing service offering the highest quality craftsmanship combined with an experienced and qualified management team with the aim of providing a unique customer/contractor partnering experience. We specialise in major refurbishment and new build residential projects mainly in the Central London area, together with commercial projects throughout the UK and Internationally. In addition to working directly for the end user we also undertake many projects in conjunction with Architects and Designers, providing them with a supportive service to enable their design concepts to be brought into a three dimensional reality. The company includes a bespoke cabinet making & joinery workshop incorporating the latest in CNC technology, spray shop and specialist metal processing at our own 11,000 square foot factory that ensures the highest control over the quality of finished items produced. Our own on-site teams undertake a wide spectrum of site construction and together with our specialist sub-contractor network all aspects of site installation and fit-out are covered under our Contract & Project Management control. Mosaic External Cleaning Solutions are an experienced, professional and quality cleaning solution for all commercial and domestic premises. We offer a professional service using award winning, powerful and top of the range equipment. We pride ourselves on delivering 100% customer satisfaction at competitive prices. JSP Building Services have established an excellent reputation as a building, refurbishment and quality fit- out contractor. Working mainly in the south east of England, we specialize in challenging projects within the City, West End and the airport terminals of London. Our experienced stable management team working with dedicated electricians, plumbers, carpenters and shopfitters are able to provide a professional comprehensive service to our clients from inception to the completion of a project. The company's growth is based on repeat business from our blue chip Clients with whom we work continually and shows we consistently produce high quality projects on time and within budget. Through our Clients we have built strong working relationships with a number of top Architectural, Structural, Safety and Quantity Surveying practices. We understand the importance of Health and Safety and have retained RCP Occupational Health & Safety Consultants to advise and keep us appraised of all changes to the Government legislation. Having adopted the RCP Methodology in our working practice, we are dedicated to meeting the highest standards to protect our staff, clients and the public. High pressure plastic water pipe systems. Aquatherm polypropylene (PP-R) pipes are the highest standard of plastic PP-R pipes available, and are a lightweight, clean, environmentally friendly product which do not scale up, corrode or lose performance during the system life. They also do not require hot works permits to install. All of our green pipe range and fittings are WRAS approved. Our range of plastic pipe products include pipes for boosted cold water systems (BCWS), domestic hot water (DHW), low temperature hot water (LTHW), chilled water (CHW), as well as wall / ceiling radiant heating and cooling panels, underfloor heating, under soil heating, sprinkler systems, and pipe work specifically for recycled water. A friendly family-run business selling quality used cars and vans in Canterbury, Kent, with over 12 years of experience. Barrett Print - High quality printing of business forms, cheques, schools products and all types of marketing material. Barrett Print is a family run business, established in 1989, specialising in the supply of printed products to a vast array of companies, organisations & schools throughout Kent and the South East. We offer competitive prices on all types of printed forms from presentation folders through to multi-part books & pads, extending to security products such as cheque printing and security pay advice. This, combined with our efficient and friendly service, make Barrett Print the ideal choice for your printing needs. Please take this opportunity to look through our website to see how we can make print buying easier for you. We have been working with our clients to build better businesses for over 80 years. We specialise in providing accounting, audit and tax advice to small to medium enterprises and family businesses throughout Kent, London and the South East. McCabe Ford Williams, Herne Bay, provide the following services: •	Audit and accounting •	Tax planning •	Business start-up advice •	Business development planning •	Auto enrolment and payroll processing •	Management accounting •	Cloud accounting solutions Our location: 2 The Links Herne Bay Kent CT6 7GQ Call for a free initial no obligation for a review of your business or personal affairs on 01227 373271 or email us at hernebay@mfw.co.uk. For further details about our range of services visit our website http://www.mfw.co.uk/services/ We also have offices at Ashford, Cranbrook, Dover, Maidstone and Sittingbourne. We are registered to carry on audit work in the UK and Ireland by the Institute of Chartered Accountants in England and Wales. Bostik Smart Adhesives sponsor the Isthmian League. Sponsor your favourite Lilywhite. Sponsors' details will feature alongside the player in the club programme for home matches and also alongside the player profile on the website.